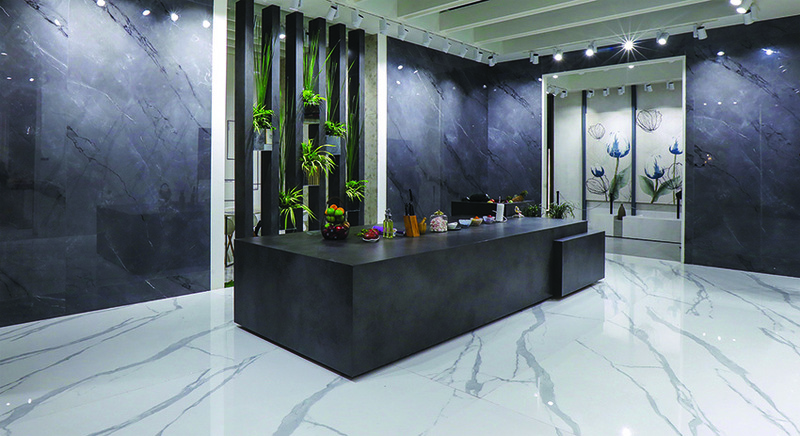 Lioli Ceramica has launched its latest surface called Cava Anthracite, in charcoal grey with a textured matte finish that combines minimal design and durability. Part of the Orgatech series, the porcelain slab is a TechnoSLAB product and manufactured in both 9mm and 12mm thicknesses using superior technology. It is easy to clean, hygienic, non-porous, scratch-free, heat-resistant and chemical-resistant. The 3200mm x 1600mm slab creates a seamless surface that is ideal for large flooring and wall areas or kitchen countertops.